Integrated with unique design, Large Mezzanine Floors have been introduced and offered to our valued customers. These floors are used for increasing storage capacity of the required place, as per the convenience of clients. Providing additional space, these floors can be assembled and asked for at reasonable rates. These floors can be modified easily to meet the variegated needs of the customers. 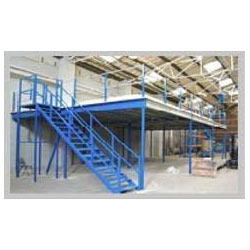 Looking for “Large Mezzanine Floors”?